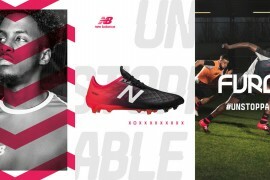 In an exclusive interview with Footy Boots which you can read in full next week, Simon Skirrow, the boss of Nomis, says that the interaction he has and the feedback he receives from amateur players far outweighs the need to spend vast sums of money in securing professional player endorsements. His approach, like a number of other ‘smaller’ brands may be based on ‘the bottom line’ but it does throw up an interesting point in terms of marketing strategies – what works, what doesn’t, what’s worth paying out the big bucks for and what isn’t. It also begs the question; can the personally owned football brand make it on the big stage? With Skirrow, the marketing plan seems to revolve around innovation. Create a product that no-one else can match and let the boots themselves to the talking. Nomis go big on comfort, safety and performance and as you’ll discover in the interview, Skirrow passionately believes that his boots are the best on the market. Add in a sprinkling of technical innovation too such as nomud, Dual Control and most recently, customised digital design as shown on the NXGEN Spark, it’s clear that Nomis are continuing a well trodden and successful path. And it’s not as if Skirrow hasn’t experienced the other side of the coin. As a big wig at Adidas and co-creator of the Predator, he’s seen how the big boys work and, probably more to the point these days, he knows just how much that can cost. Meanwhile, as a newcomer in the market place, it was always unlikely that Concave would sign up masses of pro’s from day one. Instead, as they explain in their exclusive Footy Boots blog, they went with a limited release of the PT1 which will be followed up this year by the all new kangaroo leather PT+, a mid range of boots and at least 2 new colourways. Plus, a la Skirrow, they’ve kept a keen eye on customer feedback and made some minor adjustments to the existing range as well as sending our replacement boots to any users who had problems. 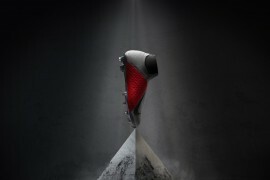 They also had to endure a pretty rough ride from the boot ‘experts’ who questioned, and to some extent still are questioning, the fundamental technology of the Concave boot with its enlarged sweet spot. However, as can be seen from the new range, Concave are sticking to their guns and are still happy with their 4 pillars of performance; improved accuracy, power, protection and control. How these two brands will fare in 2009 and beyond is of course anyone’s guess, but in a world where mass volume is understandably king, where celebrity endorsements create a seemingly unquestioning following and where large wedges of cash can sometimes be used to paper over the cracks, it’s refreshing that Nomis and Concave are out there fighting. 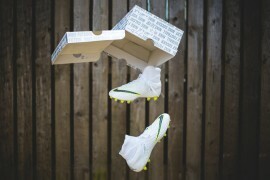 Read Simon Skirrow’s exclusive 2 part Footy Boots interview next week. I think the pricing in the current economic climate could be a huge factor for the smaller brands to consider. The Nomis NXGEN Spark clearly has a unique selling point and if priced well, or at least below the famous rivals, could prove to be successful in terms of sales. Above all else, a boot has to to perform. 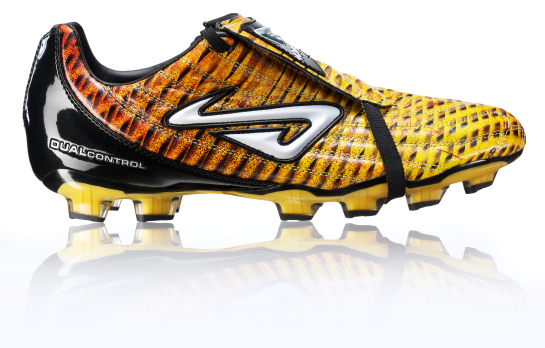 The Predator for example has sustained its longevity because in the main, it has been a reliable and high performance boot. 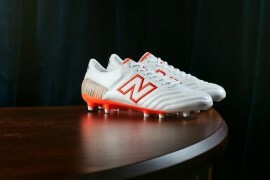 Nomis, Concave and all other smaller boot manufacturers must master this aspect before all else is conquered. Excellent Article, really whets my appetite for the forthcoming interviews. It’s certainly a an excellent strategy in getting feedback from sunday league players, by getting them involved in the design and refinement process, I think they’re more likely to buy your product. However – like the article says – society’s obsessed with celebrity endorsements, and whilst kids see their heroes every Saturday and Sunday wearing Nike, Puma and Adidas I think it’d take a really badly designed boot to break that brand loyalty. yeah !!! 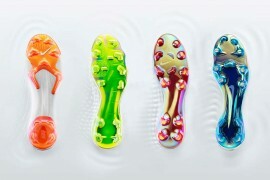 i love the concave, because everybody are in love with puma, adidas or nike, but if the concave are cheap they are a good alternative to consider. 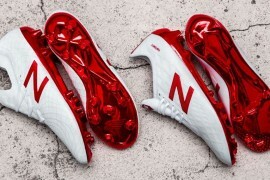 to omar saleem, the nomis are not cheap, i saw them in this web site and their price is 260 euros :S.
Have to say that although many of you disagree, Nike,adidas and puma still lead the way in football boots.Even the “Fake” version of a Nike boot feels and looks better than many other brands like umbro. 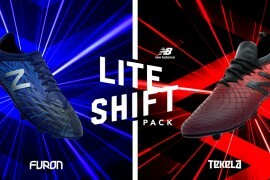 If you have cash to spend on boots then why not go for the real version, the new blue F50’s look great and supposedly feel great, but f50’s havent got great foot support. I bought the Adi pures last year when they came out, black and whitw classic ones, best 95 quid i ever spnent. They look unreal and feel even better, have placed an order 4 the new ones. Have to say adi pures the best boot about…! There once was some vodka, some thing as absolute vodka, called grey goose. They sell it for like $12 a bottle. It sells horribly. They take the SAME exact thing, sell it for $60 a bottle and it sells like crazy. People believe th e higher the price the better, definatley not always true.